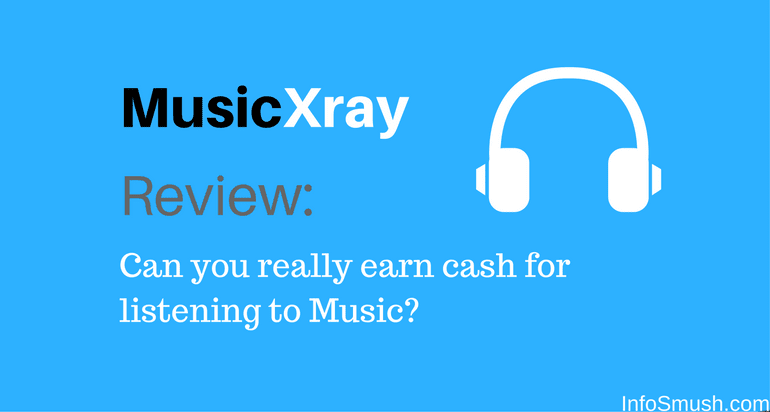 MusicXray Review: Can you Really Make Money with it? I’ve reviewed many sites which allow you to make money. But the site I am reviewing today is nothing like those sites. This may be the first time you are hearing anything like it. As you may already know this is a review of MusicXray and in this post, you’ll learn all the aspects of MusicXray.com…. But before that, you may want to know what MusicXray is. In simple terms: MusicXray is an online platform which helps new/amateur singers and bands to gain fans by charging some fee. The singer selects the genre(s) of his/her song, how many people he wants to listen to this song, etc. Now, MusicXray will send this song to the targeted audience (you) and you will get paid for listening to the song for a certain time. After you have listened to the song you can either choose to become a fan or not. 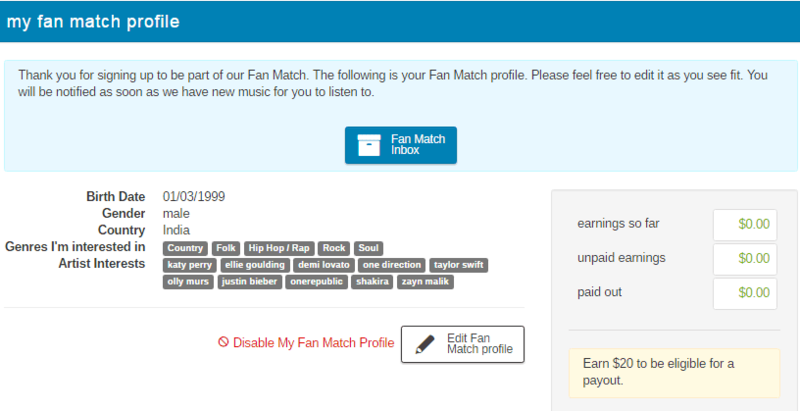 In this MusicXray Review, I’ll walk you through from creating your Fan Profile to redeeming your cash…. So, let’s begin creating your MusicXray profile…. Go to MusicXray.com> click on "sign up for free". As you can see in the above screenshot. You have two options; you can either sign up with one of your Social media accounts or do the traditional sign-up. On the next page, you need to select the type of your account. 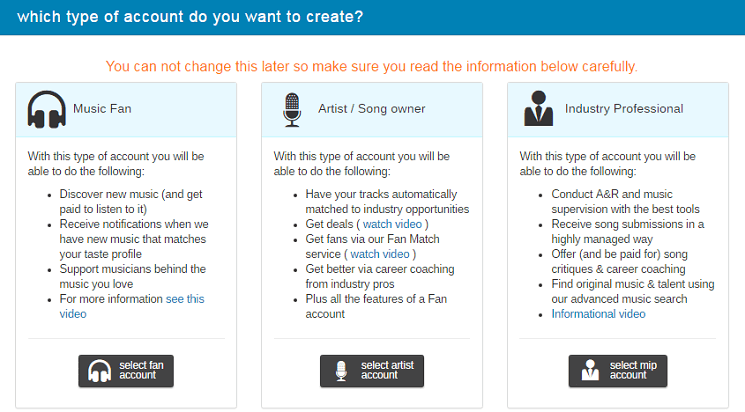 You can in the screenshot below that there are three option; Fan, Artist, and mip(for industry professionals) account for Industry Professional. Once you have selected your account type, you won’t able to change it later. It’s permanent. The only to change your account type is by deleting it and creating a new one. Since you are here to make money, select fan account and proceed to the next step. As you saw in the image above to activate your fan Profile you need to link your Facebook account. Don’t worry MusicXray won’t steal your password, and will never post anything without your permission. It needs your Facebook account linked so it can find out what kind of bands and music you currently listen to, for better targeting. To link your FB account click on your username displayed in the top right corner and from the menu hit "Settings/Preferences". On the settings page go to the Facebook tab and click on "Connect via Facebook button". A new tab will pop up. Give the permission and proceed. Wait for a few seconds and close the tab. Your Facebook account is now connected and you are ready to create your fan match profile. Did you saw the big Green & White button with 3 green guys in the above image? Hit this, Join Fan Match, button. On the next page, you will need to select your birth date, region and two other important things: The Genres you like and your favourite singers/bands. MusicXray needs this data so it can understand your music taste and better target songs. Not for anything else. You can select a maximum of 5 genres and 10 singers. Enter the names of all 10 singers/bands. If you don’t know that many just google a bit. Because we are here to make money, right? So the more names you enter the more songs you’ll get. You’ll see this page after creating your fan match profile. Review your settings. It's not a problem if you don't have time for this, you can change edit your fan match profile anytime. Click on the "fan match inbox" button to see the available songs. 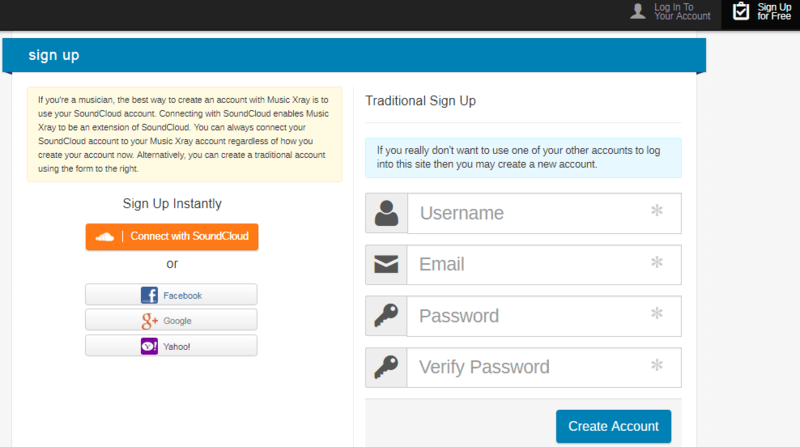 Every time you receive a song MusicXray will email so you don't have to keep refreshing this page. I needed to listen to the song for 30 seconds to get my reward. After 30 seconds these two buttons came up and $0.10 was instantly credited to my account. In the image above it is also explained that if you choose to become a fan the artist will be able to communicate with you directly about concert dates, and other things. You won’t get any extra cash for becoming a fan. So until you really liked the artist, just hit "I’m not a fan button'. The number of songs you get largely depends on three aspects: 1. Your location 2. Your fav Genres and 3. Your favourite singers and bands. These three things determine the number of songs you’ll receive. I think it mostly depends on your location. Because I’m from India and besides the song I got almost immediately after sign up, I haven’t received any songs. It’s been 2 weeks since then. It may be that singers only target native English countries like USA, UK, Aus. So if you are from these countries you might get more songs. But even the users from countries don't get a very large number of songs. According to what I’ve read, people only get 1-2 songs per week. Well, this was the best explanation I could come up with regarding the scarcity of songs. You can earn 15% of what you referrals make. You will find you affiliate link on settings page. MusicXray only has PayPal withdrawal option which requires you to accumulate $20 before requesting a withdraw. The minimum payout is $20, it is pretty high considering the amount you get per song. So I’m it’s gonna take months or even a year to reach $20 goal. But since you don’t have to waste your time looking for songs (songs are mailed to you) so it's not much of a problem. You do get paid for your time, right. Of course, you won’t be making dollars for per song, nor will you get tonnes of songs every day. The only benefit of this site is that your time won’t be wasted. Reviews of the product have been heard everywhere for the satisfaction of the people. Majority of the individuals have been listening to this part for the normal and conventional terms for the people.